Version 8: Now with fewer bugs! The Crimson Diamond is a text parser mystery adventure game where you play as amateur geologist and reluctant detective Nancy Maple. Follow Nancy as she travels north to the fictional ghost town of Crimson, Ontario to investigate the discovery of a massive diamond in the area. Eavesdrop on conversations to learn more about the eccentric cast of characters who find themselves gathered at Crimson Lodge. Explore the lodge and its environs to evaluate the diamond claim, and maybe solve a mystery or two along the way! The Crimson Diamond is a cozy mystery that encourages reading and engaging in the story over devious arcade challenges. 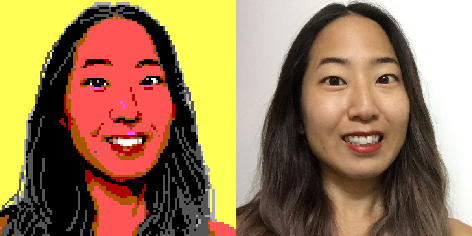 Julia Minamata is a Canadian freelance game developer and illustrator. This game is inspired by old school text parser-driven adventure games, both in mechanics and aesthetics. Julia uses limited colour palettes in her illustrations and was particularly drawn to the 16-colour EGA palette of Sierra adventure games of the 1980s and 1990s. Combining the rose-coloured nostalgia goggles of growing up in that era with some proof-of-concept artwork, Julia was ready to start developing her game! - Listen and talk to a cast of characters with different personalities and motivations. - Uncover secrets, discover hidden areas, solve mysteries! Merchandise: T-shirts, stickers, mugs and more, on Society6! Print your own poster or postcard! LP YouTuber LateBlt Plays The Crimson Diamond and weighs in!